I’d never heard of washy tape before, but now I find it to be extremely useful! The woman in the video uses a beautiful pattern, with contrasting colors going from light to dark. This produced great results but like I said before, piecing this quilt together with some scraps might also work well. Make sure that the scraps are big enough and also that there is enough of them, in general. One of the reasons that I really like this video is because the woman in it has a great sense of humor. We get to laugh and learn at the same time which always makes things more fun! Angela really goes over everything, from measurements to organizing the pieces before sewing. The blocks come out looking really nice! Check out the video and enjoy doing the four color fruit slice quilt! It’s definitely a fun colorful project to add to the collection! 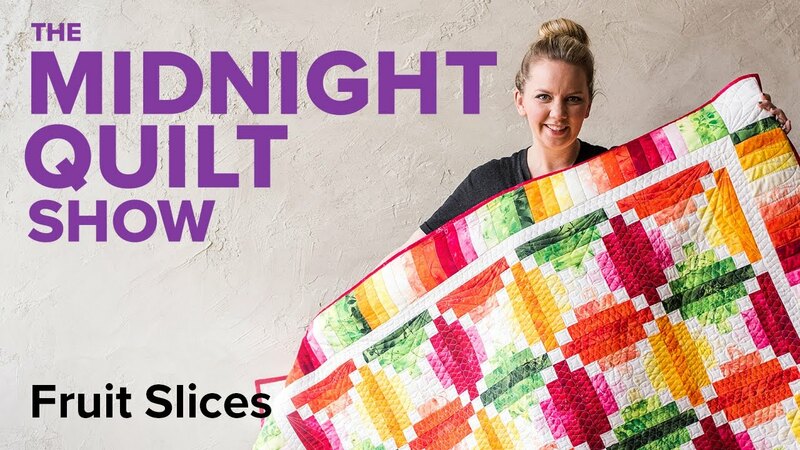 I love this quilt…and Angela!